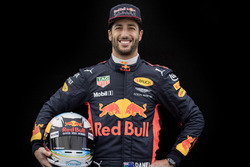 Daniel Ricciardo has defended Sebastian Vettel after the Ferrari driver hit him and spun in the United States Grand Prix and believes there was nothing "erratic" in his approach. 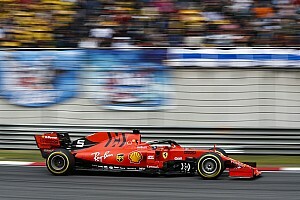 Vettel has spun after clashing with Red Bulls at the start of the last two races, first with Max Verstappen early in the Japanese GP and then with Ricciardo last weekend. 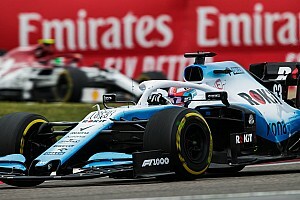 It continues a mistake-ridden title challenge for the four-time world champion, whose errors led F1 sporting boss Ross Brawn to declare he is "a bit out of sorts" and that the incidents are not a coincidence. 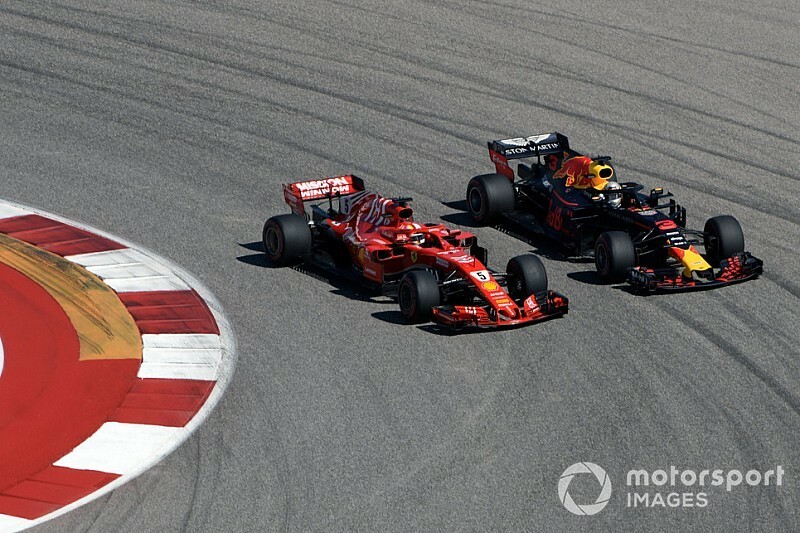 Asked by Motorsport.com about Vettel's errors, Ricciardo said that multiple mistakes could be making Vettel "slightly hesitant" in battle. "That could maybe create that little bit of misjudgement," said Ricciardo. "Even kind of subconsciously if you don't even know it. "If you're playing catch: you drop 10 in a row, probably by the 11th one you're like 'alright don't drop it, don't drop it'. So it could be a similar thing with that. "To be honest I looked at Seb's onboard and I didn't actually see anything, I didn't think he went in hot, I didn't think he looked erratic. "So, in a way I'll defend him – in terms of I didn't see anything out of character. For sure it's happened a few times now but that one for me didn't look out of character. "It could be that, as an explanation, but I don't want to tell him how to drive." Ricciardo said he felt the first-lap clash with Vettel at Austin was a racing incident and that the car "just got away from him". 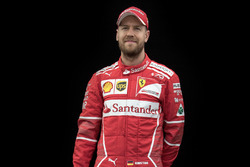 Two-time world champion Fernando Alonso believes Vettel's mistakes – which also include hitting Valtteri Bottas at the start in France, crashing from the lead on slicks in the rain in Germany and spinning after hitting title rival Lewis Hamilton in Italy – are just "coincidence". 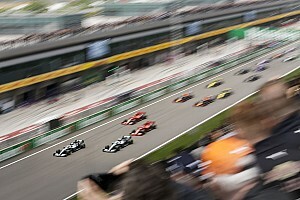 Alonso also reckons more scrutiny is being placed on Vettel because of the two-horse race for the title. "I saw a lot of graphs where Sebastian is three milliseconds [faster] in this straight, Hamilton is two milliseconds on braking, four milliseconds mid-corner," said Alonso. 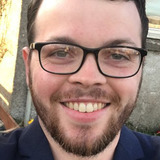 "These kinds of analyses bring a lot of attention and a lot of repercussion in any little issue, but I think has been a coincidence more than a pure mistakes." Racing Point Force India driver Sergio Perez reckons Vettel has maybe become "desperate" but stopped short of criticising him. 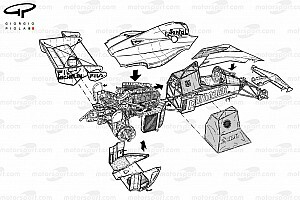 "Sebastian is a fantastic driver," said Perez. "It's very hard to judge the performance of someone when you are not in the team and do not know exactly what has gone on. "We've seen some mistakes, probably just desperate to achieve what was probably not possible. "But he's a four-time world champion for a reason. He has a great team and he will be back to fight again." Haas admits Magnussen exclusion caused by "too much risk"